Podcast Series 1 – Scientists and their daily work Scientists talk about their professional career, their daily work as marine biologist and their main research focus. They also give information about interdisciplinary work and associated professions. 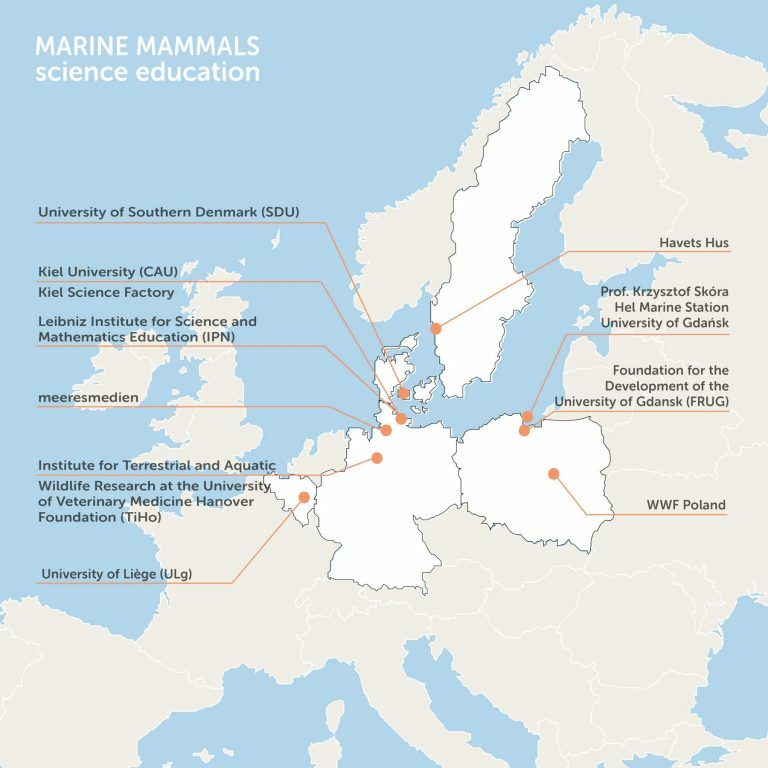 Podcast Series 2 – Scientists and their research topics According to the topics of the teaching material, some of the scientists talk about specific topics of their main research area regarding marine mammals. These short clips are linked to the topics of teaching material which can be downloaded here. Podcast Series 3 – Expert interviews about the project This series gives background information about the targets of the marine mammal´s project as well as about the approaches which have been chosen to raise the student´s interest in science.